Keep a look out for Goodwill donation boxes and blue electronic waste recycling bins. 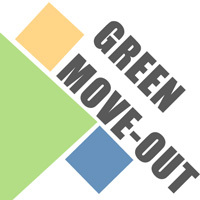 Did you know Move Out results in nearly 20,000 pounds of trash going to the landfill each year? Moving out of dorms and apartments for the summer can be hectic, but Webster University Sustainability and Residential Life are here to provide opportunities to green the process! In order to collect reusable items and unwanted electronics for recycling, Goodwill donation boxes and blue electronic waste recycling bins will be available at 3 locations from Monday, May 7 to Friday, May 11. Donation stations will be in the lobbies of East & West Hall, and at the north entrance of Marletto’s for faculty and staff access. Fully labeled recycling and landfill containers will also be available throughout campus. Volunteers will be available on a limited basis throughout the week. Contact Sustainability planner Kelsey Wingo or visit webster.edu/sustainability for more information.